I was taking pictures of the Pied Harrier when I saw a smaller bird zip by. I snapped a few shots of the smaller bird. When I looked at the photos, I couldn’t tell what it was. I sent the pics to top birder Rob Hutchinson for ID. He said it was definitely a falcon but not a Peregrine or Kestrel. He said it was possibly an Amur Falcon or Northern Hobby, except that my photos were too far and blurry to confirm an ID! I almost, maybe had a lifer at the refuge! 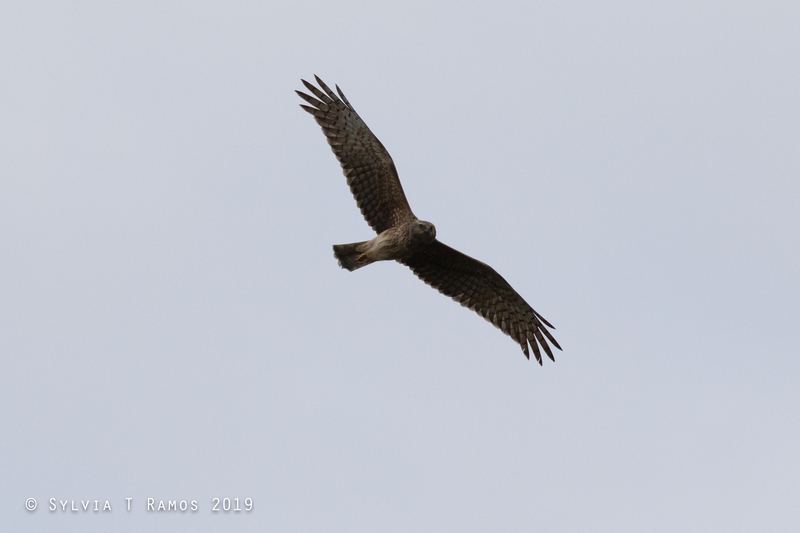 The next week while we were scanning the skies hoping to see the possible Amur Falcon or Northern Hobby, we saw a Brahminy Kite. Being the trigger-happy photographers we are, we snapped away at the Brahminy Kite. At first it looked like it was flying with its legs dangling. Then we saw that it was carrying something. Hard to tell what it was carrying, maybe it was a chicken. The following week, Tonji saw one of our neighbors. One of his chickens was missing! Our neighbor thought someone either stole it or set a trap for it. Tonji said that sure, maybe one of those trappers got it. That’s all he said. Tonji was walking back to the cottage when he saw a mouse impaled on a tree branch. When he reached the cottage he told me about it and we went back out so he could show it to me. When we got to the tree it was gone. He said that it was probably a Long Tailed Shrike that impaled the mouse. It was watching him when he went to inspect it and maybe it moved it or ate it after he left. I was disappointed that I wasn’t able to see the mouse, impaled through the eye and all. I didn’t think a Long Tailed Shrike could catch a mouse! Lizards and frogs, yes. But I was surprised that it could get a mammal! Our bird reference book the Kennedy guide says that Long Tailed Shrikes eat insects and small vertebrates. We also have Brown Shrikes and the book says that they eat large insects, small birds, and possibly mammals. The following day I was clearing overhanging dead branches near the horse poop compost area and saw a mouse impaled on a tree branch! This one was long dead and eaten. I believe that this is graphic confirmation that Shrikes can catch mice! This week Tonji found half a crow in the grass. He was on the Day 2 of building Pond #7 when when he found a dead crow that looked like it was cut in half. He showed it to me, but I didn’t take pictures. The strange image stuck in our minds though. What could have done that to a crow. A crow! They are big, tough, and travel in groups called a murder of crows! A few mornings later while Tonji was preparing our morning coffee, a Grass Owl flew in front the cottage. What a treat for us to see an owl in the morning. Then a Pied Harrier flew into view. They were both probably hunting for mice! Then Crows flew in and started chasing the Pied Harrier. They were very insistent. They were doing the same thing the previous week, mobbing the Grass Owl and Pied Harrier. 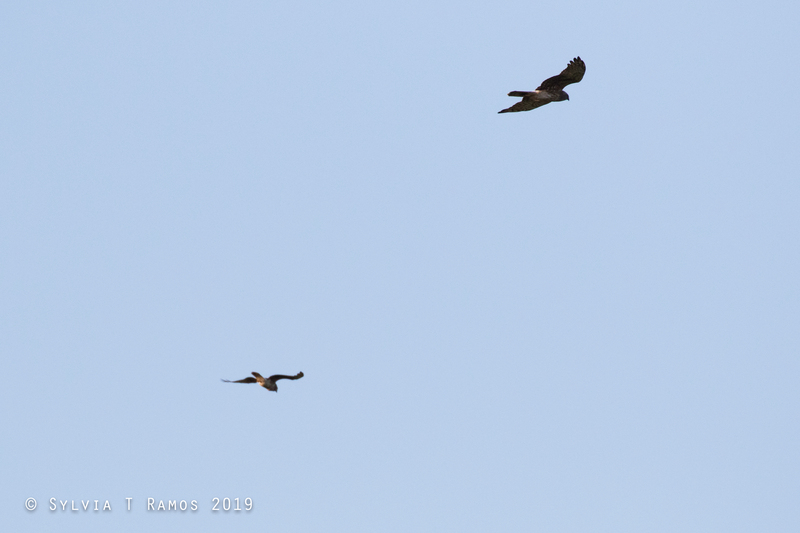 The crows were so aggressive towards the Pied Harrier I thought they might have permanently driven the Pied Harrier away. Pied Harrier and Grass Owl flying together. This was from the previous week. Sudden realization! The Pied Harrier probably ate the half Crow! That’s why the Crows are attacking the Pied Harrier. If a Brahminy Kite can catch a chicken and a Shrike can catch a mouse, surely a Pied Harrier can catch a Crow! And that’s the story of how Half Crow Pond got its name. Are you a male Pied Harrier? 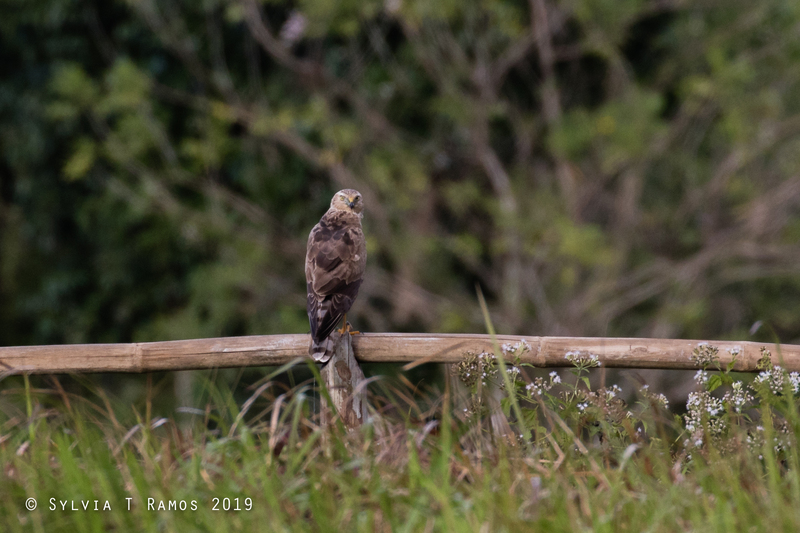 These are the two Pied Harriers. One of them looks like an immature that is acquiring male adult plumage! 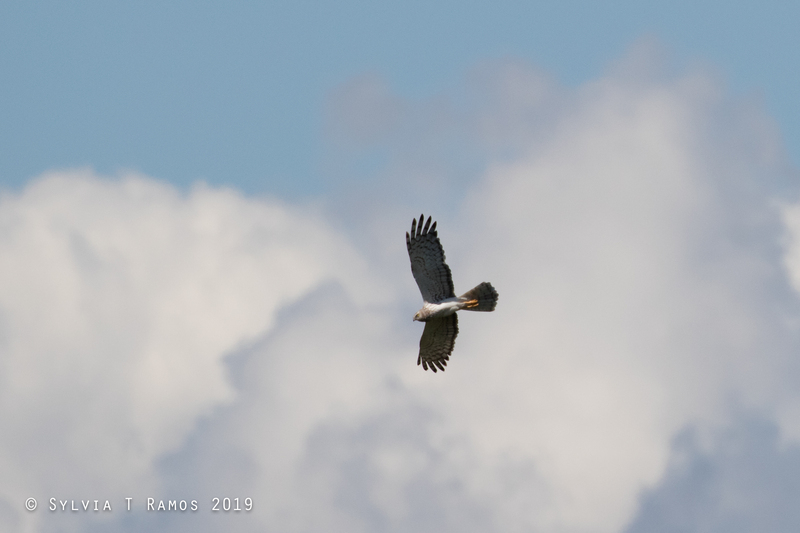 In 2018 we were able to watch a Pied Harrier acquire male adult plumage. We were able to observe him from August 2017 until July 2018. He had a string that was attached to his leg. Maybe someone tried to catch him and he was able to escape. The string made it easy for us to identify him. 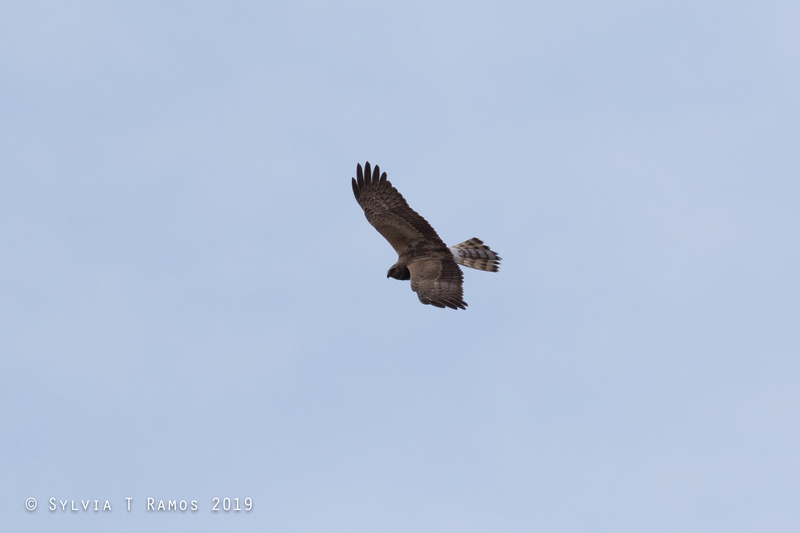 These are photos from February 2019 of the possible 2nd male Pied Harrier in our refuge! 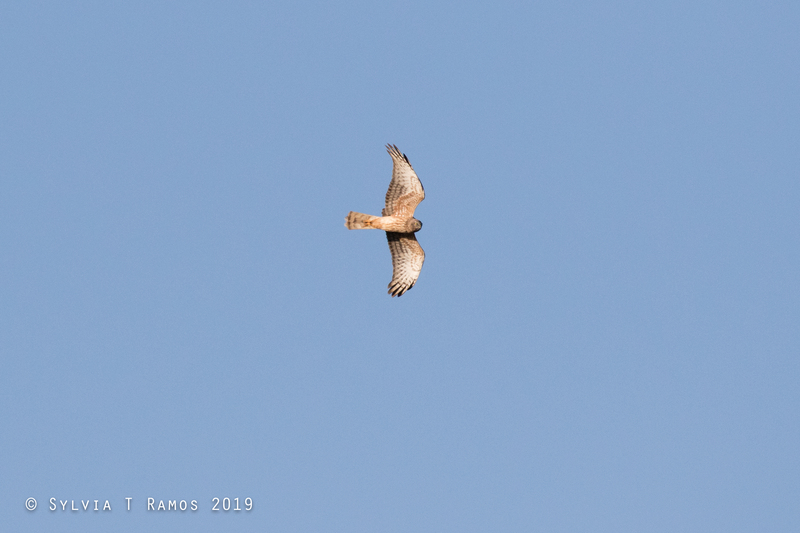 Author Sylvia RamosPosted on March 2, 2019 Categories Wild BirdsTags male pied harrier, pied harrier, wild bird refugeLeave a comment on Are you a male Pied Harrier? It’s so good to be back at the refuge after a long absence and see that things have gotten bigger, greener, lusher! And we had had a big surprise. 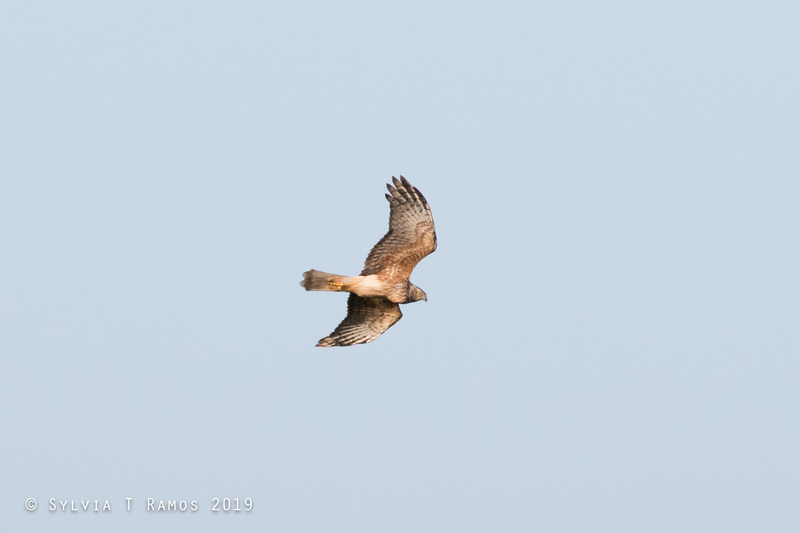 There were two Pied Harriers! 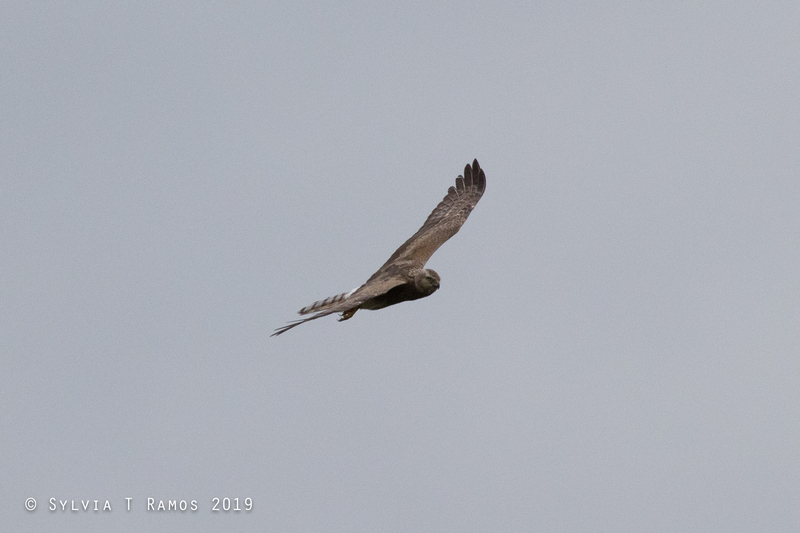 It’s a different pair of Pied Harriers from the ones we had last year. These ones last year were a male and female. These ones are both brown, so maybe a female and an immature? Two females. One of them perched on the bamboo fence, just like old times! Makes us think it’s the same female from last year. 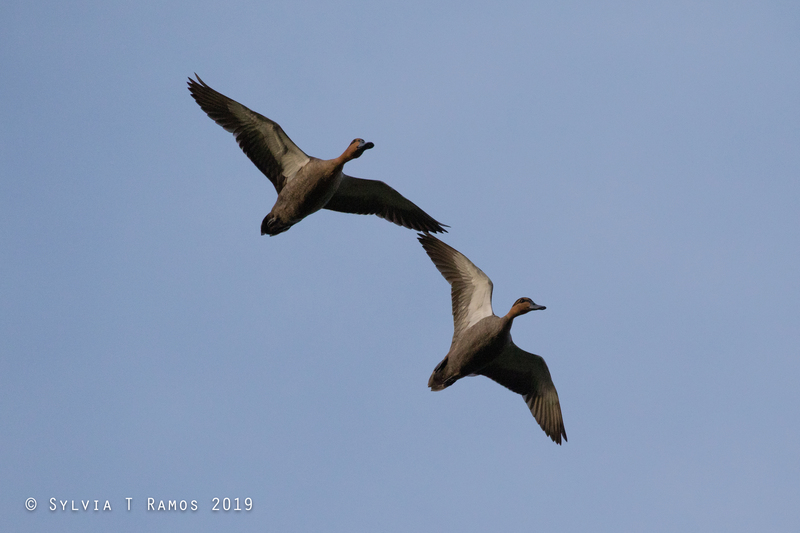 We also saw 4 Philippine Ducks. Tonji saw them swimming in the big pond when he was cutting the paths in that area. The dogs and I saw them on the path beside the smallest pond. The path was newly cut and they were on the short grass. This was short visit inspect things and make plans. We planted 20 more Narra seedlings and 20 Duhat seedlings that we grew from seeds. This year we are boosting our seedlings with vermicast made at home from horse poop compost. We’re hoping this makes our trees even bigger, greener, and lusher this year!